Due to stiff competition and innovation in Value Added Services(VAS) available with various cellular service providers customers have an opportunity to switch brands if they are not happy with any service provider. India has seen rapid increase in the number of players which caused the tariff rates to hit an all time low. This allowed the players to target the low income population thereby increasing the market share. The availability of a number of subscriber options for consumers and varied tariff rates of each player, lead the consumers to switch between service providers. In this paper the researchers aims to find out the reasons for switching brands of cellular service providers of mobile phones. It has been found out that the reasons for switching is mainly due to high cost of the services provided, poor service network and poor customer services and lack of innovation and competition in the services provided by the cellular service providers. Switching Behaviour, Cellular service provider, Value Added Services, Poor Service Network. Blin, J.-M. & Dodson, J.A. (1980), “The relationship between attributes, brand preference,and choice: A stochastic view”, Management Science, 26/6, 606-619. Givon, M. (1984),“Variety seeking through brand switching”, Marketing Science, 3/1(Winter), 1-22. Keon, J.W. (1980),“The bargain value model and a comparison of managerial implicationswith the linear learning model”, Management Science, 26/11 (Nov.), 1117-1130. M.Sathish, K.Santhosh Kumar, K.J.Naveen, V.Jeevanantham, “A Study on Consumer Switching Behaviour in Cellular Service Provider: A Study with reference to Chennai”, Far East Journal of Psychology and Business, Vol. 2 No 2, February 2011. Oliver, R. L. (1999),“Whence consumer loyalty?”, Journal of Marketing, 63, 33-44. Pessemier, E.A. (1978),“Stochastic properties of changing preferences”, The AmericanEconomic Review, 68/2 (May), 380-385. 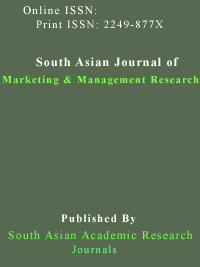 Shukla, P. (2004),“Effect of product usage, satisfaction and involvement on brand switchingbehavior”, Asia Pacific Journal of Marketing and Logistics, 16/4, 82-104. Kim, M. K., Park, M. C., Jeong, D. H. (2004),“The effects of customer satisfaction and switching barrier on customer loyalty in Korean mobile telecommunication services”, Telecom Policy, 28, 145-159. Henkel, D. Houchaime, N. Locatelli, N. Singh, S. Zeithaml, V. A. and Bittner, (2006),“Emerging WLANs on Incumbent Cellular Service Providers in the U.S”, M.J. Services marketing, McGraw-Hill Singapore. Anckar,B. Carlsson,C. Walden,P. (2003),“Factors Affecting Consumer Adoption Decisions and Intents in Mobile Commerce: Empirical Insights”, 16th Bled eCommerce Conference eTransformation Bled, Slovenia, June 9 – 11. Serenko, A &Turel, O. (2004), Proceedings of the Third International Conference on Mobile. Lin, Wen-Bao. (2010),” Service failure and consumer switching behaviors: Evidence from the insurance industry”, Expert Systems with Applications, 37(4), 3209-3218.